A few weeks later, while shopping at Target, she sees the tapes. Back then, they were only available in solid bright colors like hot pink, aqua blue, lime green and so forth. Of course, she wanted all of them, but at $5.99 a pop, I decided to only go with one and see how long the fad would last. She started experimenting with the tape by making small, simple things like bookmarks, until she realized the girls in her school were learning how to make some pretty elaborate wallets (and of course, in multiple colors). I waited a bit to see how intense this new fad would become before I decided to purchase a few more colors. Pretty soon my daughter was teaching herself how to make wallets, phone cases, pencil pouches, hair bows, bracelets, well, just about anything she could teach herself from internet tutorials! And of course, she started customizing the items as well. As with all fads, duct tape started coming out with all sorts of patterns, even holiday ones. Some of my daughter’s creations! Ready for some refreshing drinks on this Memorial Day? Take a look at what I found! A few months ago, I finally caved in and purchased a Keurig coffee maker. This is one of the best purchases I have ever made for my kitchen, it’s so easy to use, I love it. Since I’m the only coffee drinker in my house, I was getting tired of wasting a whole pot of coffee, every time I wanted a cup. I love brewing the different Starbucks coffees and the Swiss-Miss hot chocolate too. Iced coffee though…that’s never really been my thing, I like my coffee drinks hot. But recently, I came across a cool new concept, Brew Over Ice K-Cup packs (where else…at Target of course). Now I can also prepare cool iced drinks with my Keurig, perfect for living in this Miami heat. 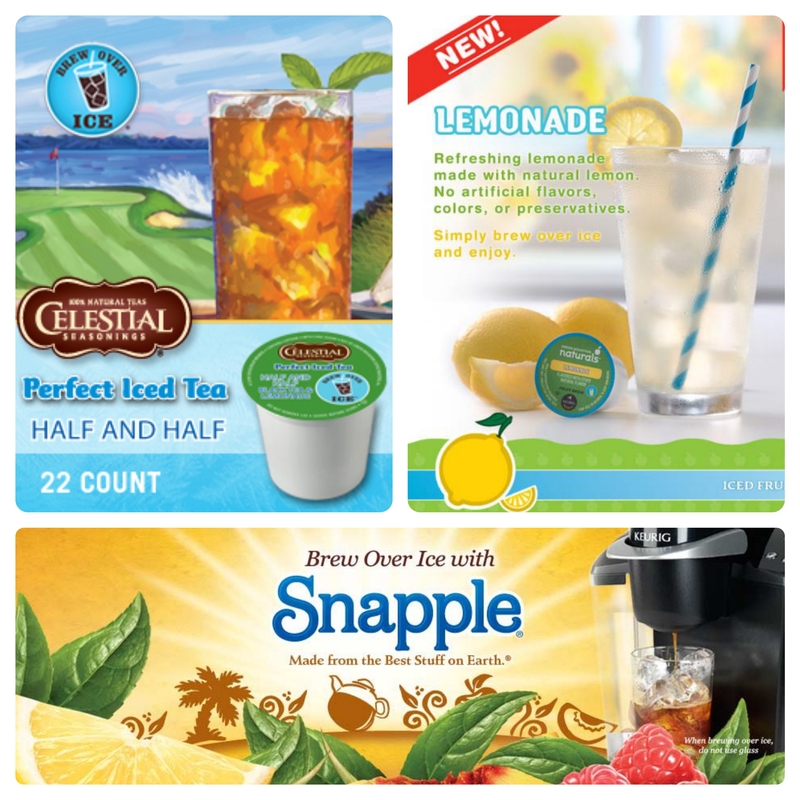 My favorite Brew Over Ice K-Cups are the Snapple Iced Teas, which come in lemon, peach and raspberry flavors. I’ve also tried the Celestial Seasonings Half and Half (Arnold Palmer) and the Green Mountain Naturals Lemonade, which are both pretty good also. 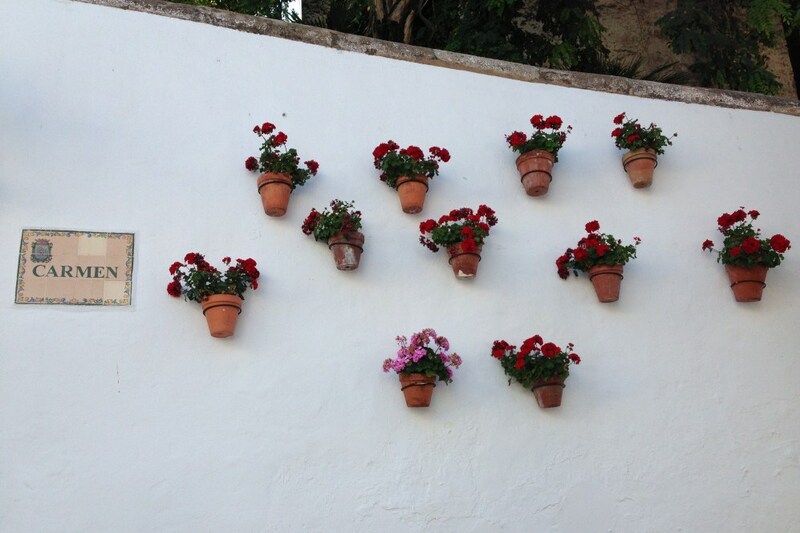 Costa del Sol…just the name makes you want to hop on a plane and go there! I’ve had the opportunity to visit Spain several times, even lived in Madrid for a short while when I was very young. However, I had never truly ventured into the Costa del Sol. My husband and I have visited Sevilla, Cordoba, Granada and Nerja, but we had never stayed at any of the beach towns in Andalucía before. 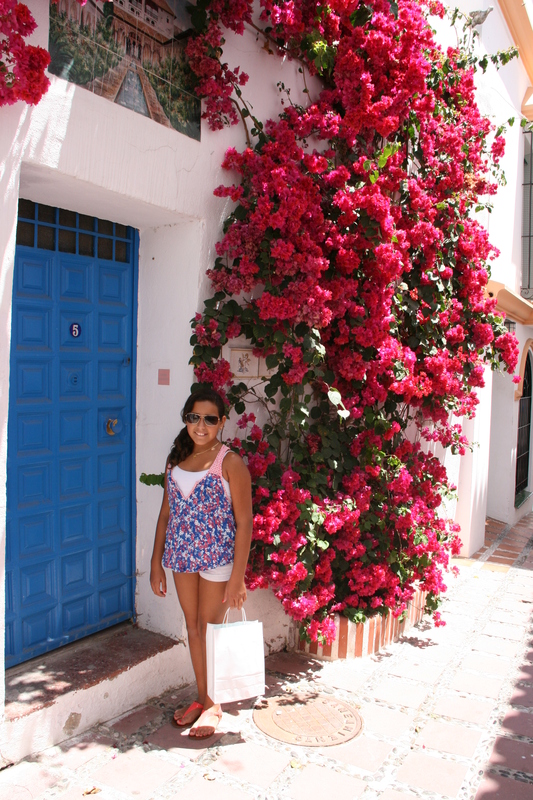 This past summer we finally decided to visit Marbella, and we were not disappointed! 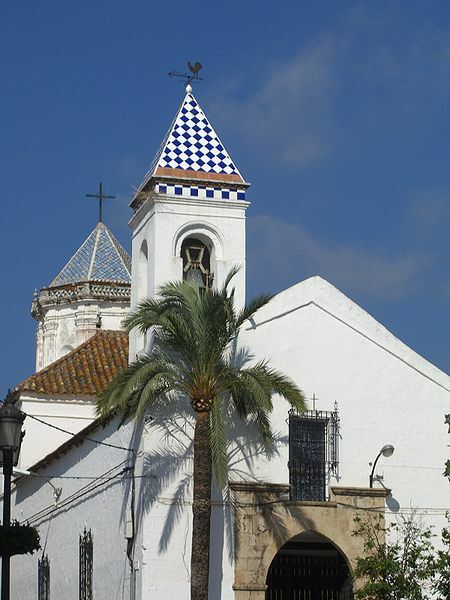 Marbella is typically associated with millionaire beach mansions, crowded beaches and celebrity sightings. 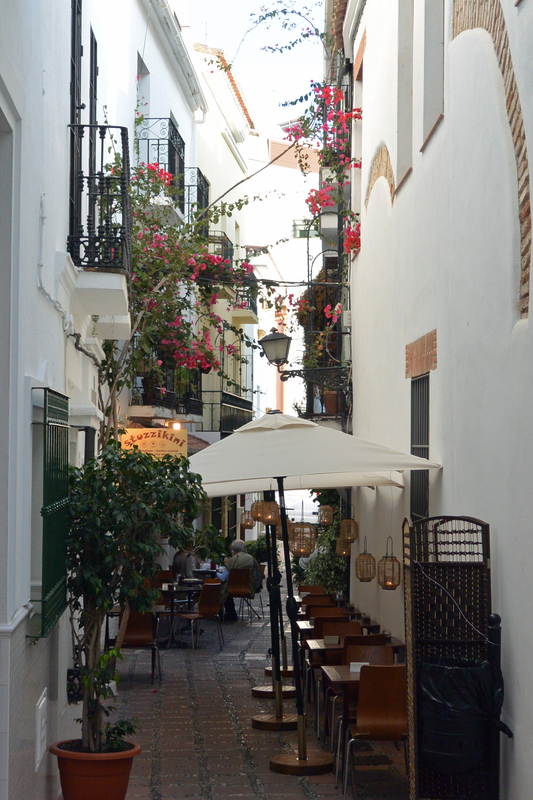 My Marbella experience was quite different…a maze of typically Andalusian streets with palatial facades, intricate wrought-iron balconies and a series of shrines and chapels, especially the old town (Casco Antiguo). 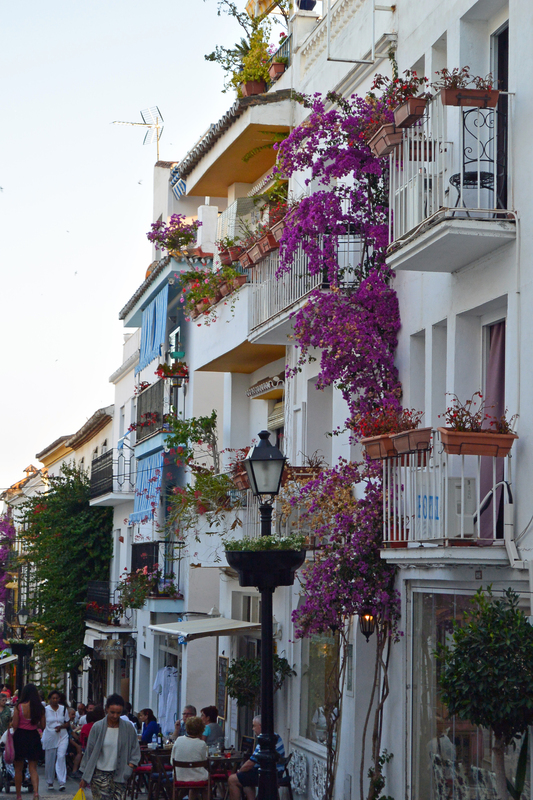 Marbella’s old white washed streets and cobbled squares are among the most beautiful on Spain’s Costa del Sol. 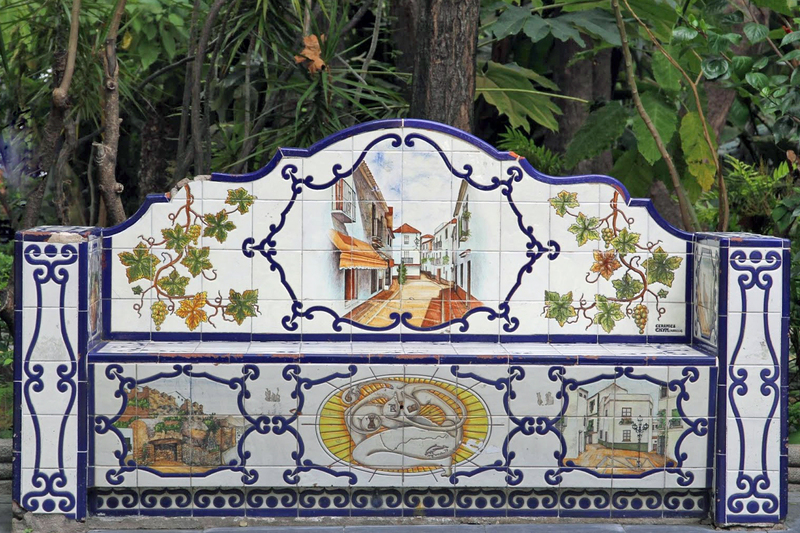 You can spend hours just wandering through the little pedestrian streets, full of boutique shops, cafes, and gorgeous buildings with balconies full of beautiful, colorful potted plants. It’s definitely an area suited for long strolls, and as always, do not forget your camera! 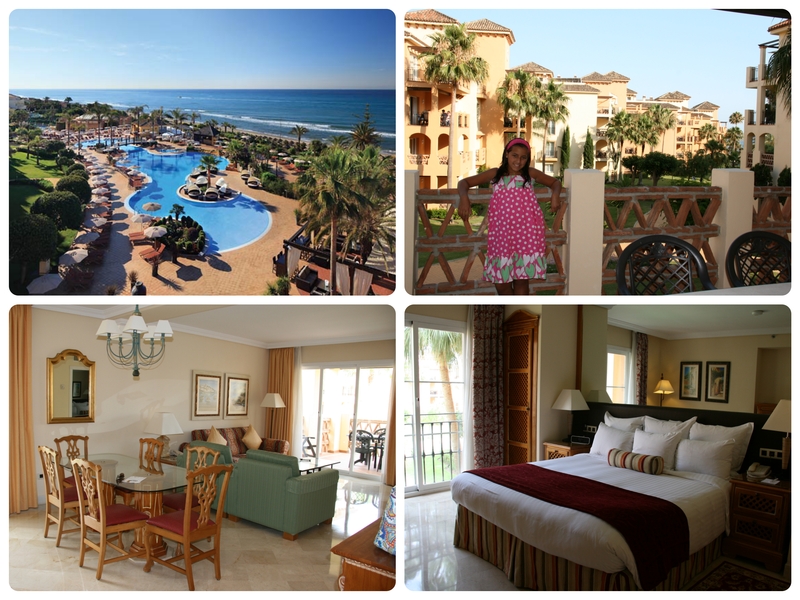 We stayed at the Marriott Marbella Beach Resort, and I highly recommend this hotel, especially if you’re traveling with kids. The rooms are spacious, clean and comfortable, we actually had a two bedroom, two bathroom apartment, with a large balcony. The outdoor area is beautiful, with several restaurants, and a very large pool with slides. Our daughter made several friends during our stay, and we all enjoyed all of the amenities throughout the property. The resort is about a 15 minute drive into the old town, but we had a rental car and there are various parking garages in town. The resort also provides a shuttle into the old town various times a day. Buttered pasta for Carolina, pan-fried codfish with potatoes, calamata olives, cherry tomatoes, and white wine for hubby and risotto with stracchino for me! 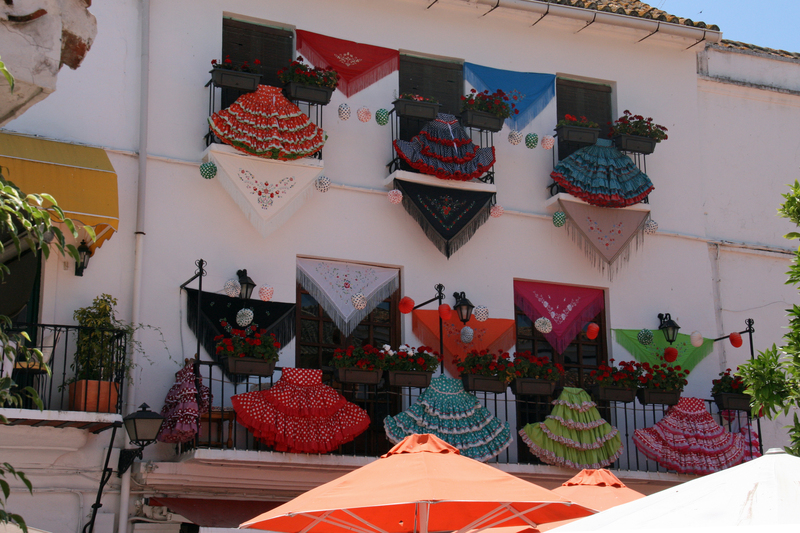 At the heart of the old town is Plaza de los Naranjos, very picturesque, and full of shops and restaurants. 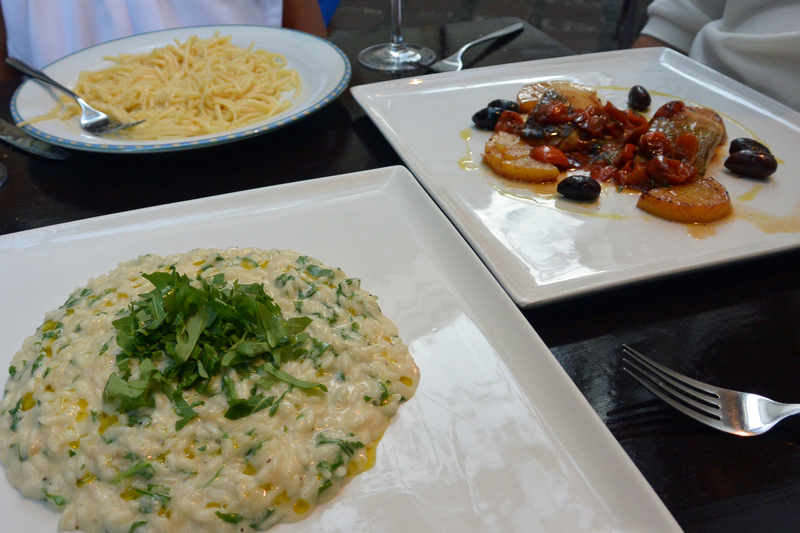 We got caught up in the liveliness of the plaza and decided to have dinner there one night. Big mistake…as with most main squares in these towns, the food was not great, and the service even worse. 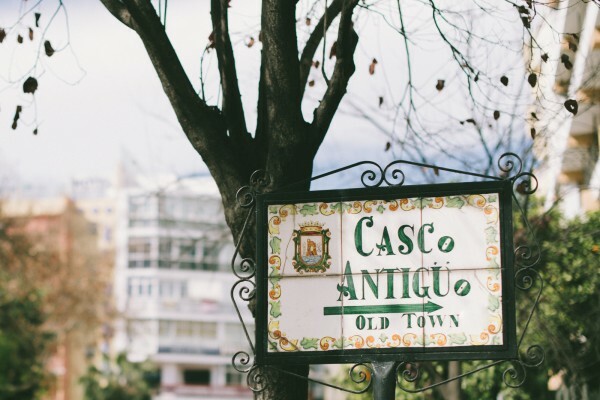 Marbella does have a great selection of diverse amazing restaurants, but make sure you do your research, and stay away from all the tourist traps. 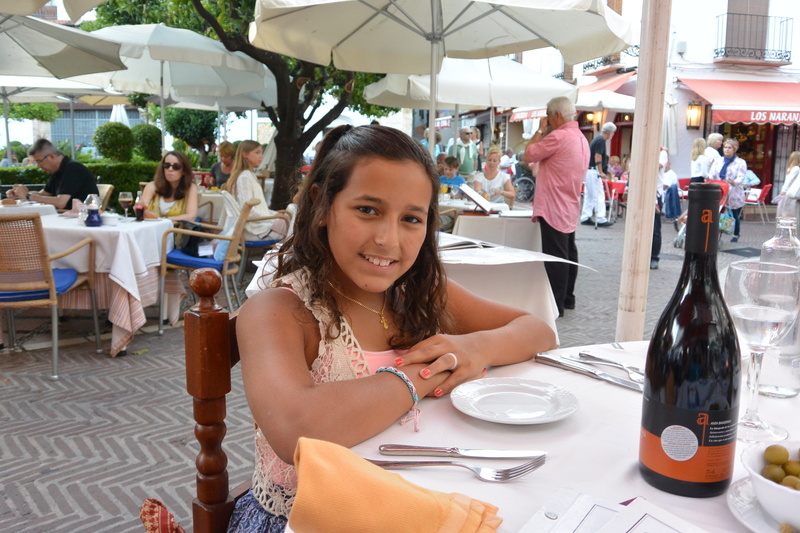 The cosmopolitan nature of Marbella means you will encounter people from all parts of the world. Dinner at Stuzzikini, a little Italian restaurant, was amazing with great food and very friendly owners. They actually came by our table and chatted with us, telling us all about their family business! We also had another great meal at Tempora Restaurante, right around the corner. 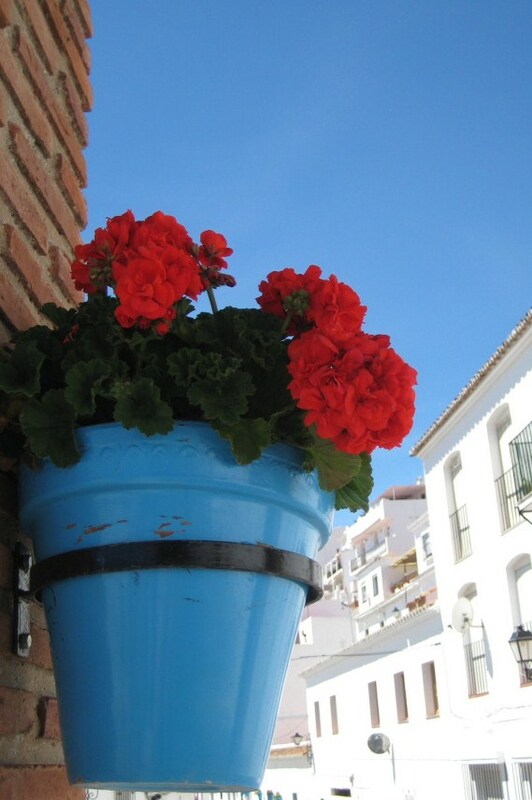 In Marbella, as with most European cities we have visited, residents praise the quality of life. One afternoon, I was shopping in a little jewelry store with my daughter, just as the famous “siesta” was about to start. The store owner was practically rushing me, because he had to close up for his 4 hour rest, and then proceeded to tell me that Europeans were not like Americans in that they work to live, not live to work (not the first time I have been told this in Europe). I realized at that moment, that these are some of the reasons why we travel abroad. 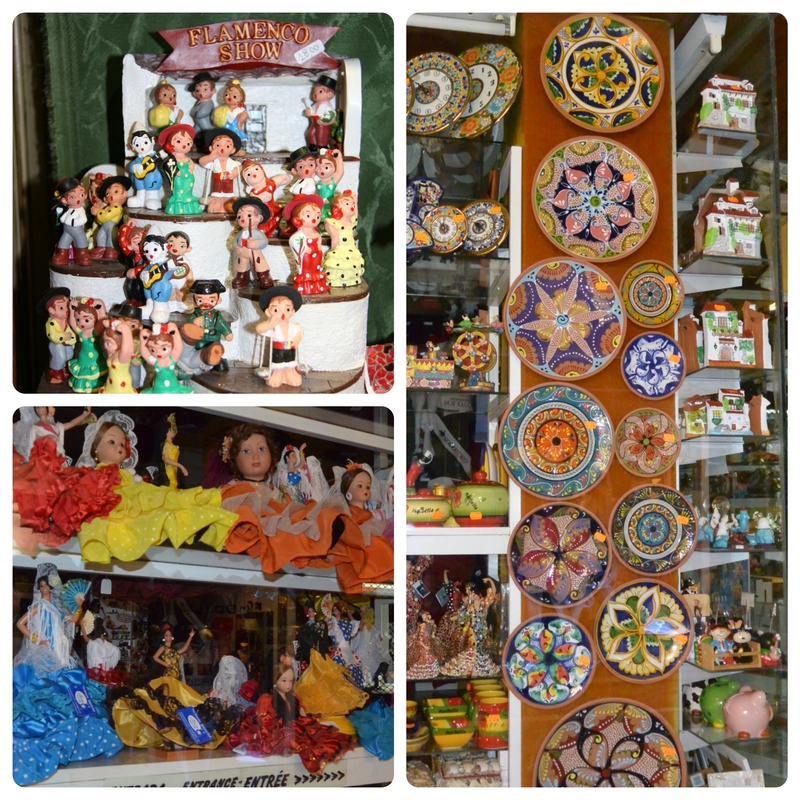 We like to experience the differences in cultures, and in Spain, that includes getting your shopping done in the morning, as they will close the town down between the hours of 1-5PM! So, we happily headed back to our hotel and enjoyed the rest of the afternoon by the gorgeous pool area. Later that evening we returned to town for some more strolling and dinner. 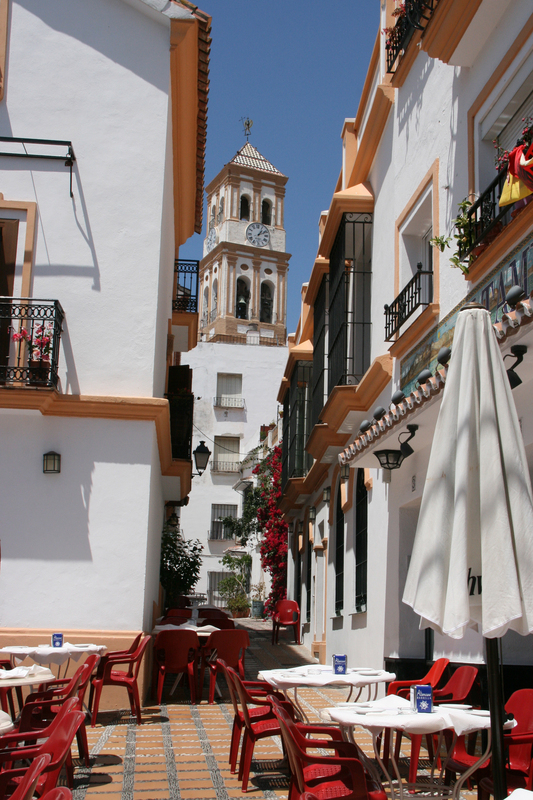 While staying in Marbella, it is also very easy to take day trips to the other nearby towns of Torremolinos, Mijas, Fuengirola, Benalmádena, Puerto Banús, and of course, Málaga, which has the nearest international airport. Now that summer is around the corner and many of us are starting to plan our vacations or just hanging out at our favorite beach, lake, pool, etc., it’s time for some good summer reading. I love to read and when I find a good book, I just can’t put it down until I’ve finished it. When I was much younger, I read many of the Flowers in the Attic series by V.C. Andrews. Years later, I became obsessed with the mysteries of Mary Higgins Clark, and I read many of her novels as well. In the past few years, I’ve read many more books, and I will be featuring some of my favorites in the weeks to come. 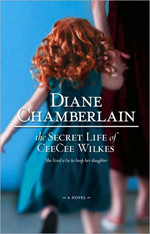 Let me start by saying that I love all of the books by Diane Chamberlain and I’ve had the pleasure of meeting her at several book signings, as she lives in Raleigh, NC, where I used to live a few years ago. Her books always have a mystery to them, and they really keep you guessing. This is the first of her books that I read a few summers ago, and I think I finished it in two lazy beach days! It is my favorite of all her books and it pretty much got me hooked on this author. Without giving much away, I’ll just say, go buy a copy, or download it to your e-reader, grab a towel, some suntan lotion, shades, a cold drink, and enjoy a great afternoon read! 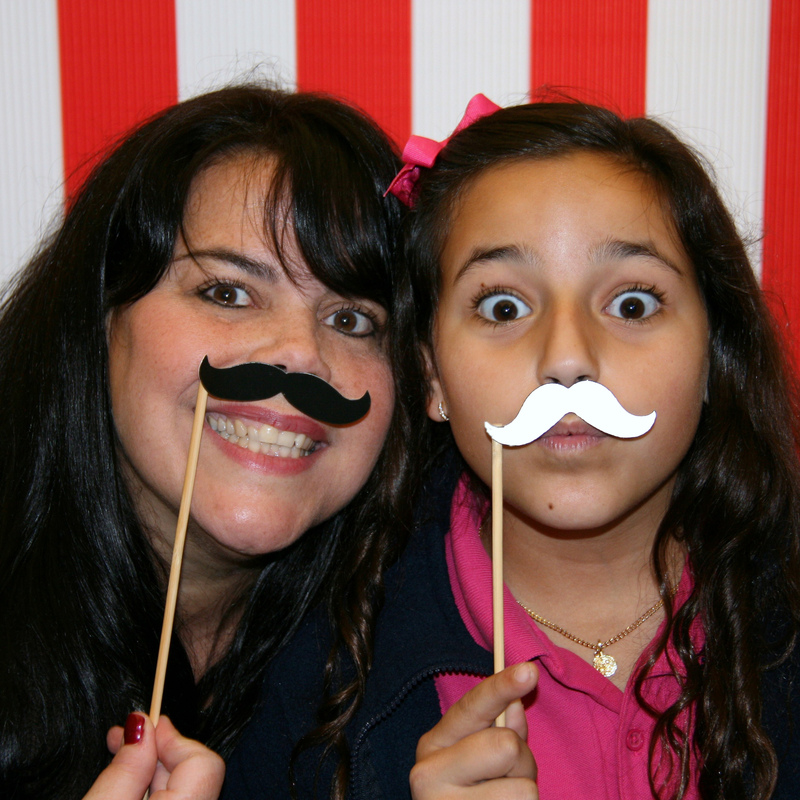 Carolina & I with mustache props at a school event last year! 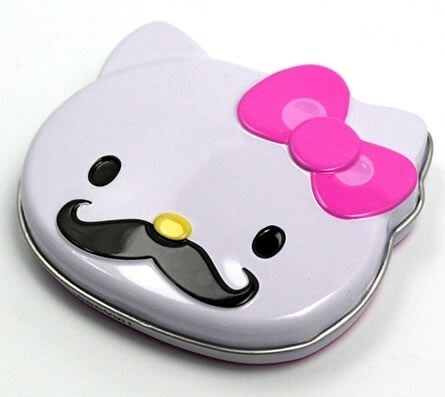 It seems that lately, everywhere we look we see mustaches! On cards, websites, logos, cupcakes, photo props, jewelry… But where did this bizarre trend come from? 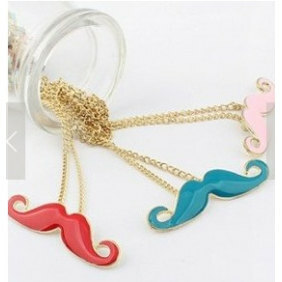 All you have to do is search for “mustache” on my beloved Etsy, and you’ll find over 54,000 results! Well, it’s been rumored that the fake mustache fad originated with hipsters as a way to mock conventional ideals of fashion and style. 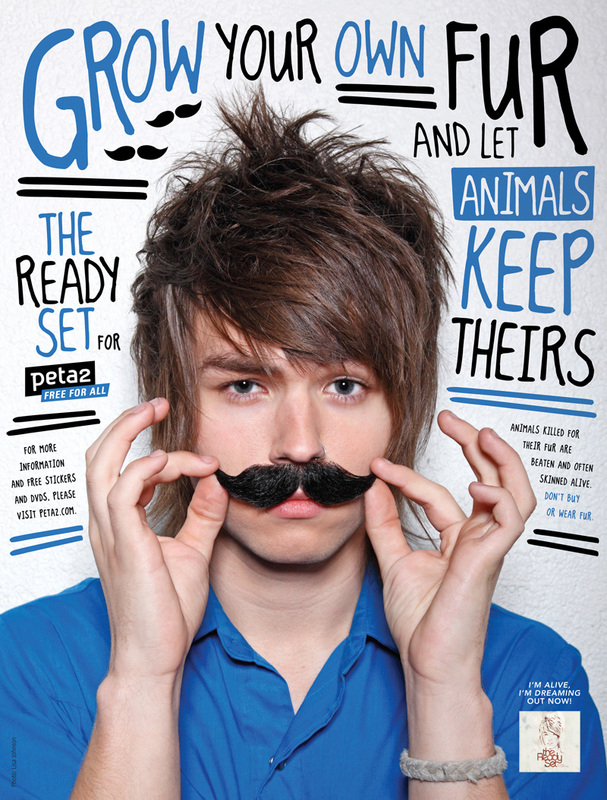 It’s also believed that PETA started the whole mustache craze with their campaign “Grow Your Own Fur” back in 2010. PETA posted a picture of a rabbit wearing a fake mustache with “You can help stop the killing of animals for their fur by growing your own fur” as the slogan for the campaign. 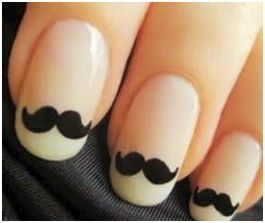 It doesn’t really matter where this originated from…the fact is that everyone is going crazy for mustaches! 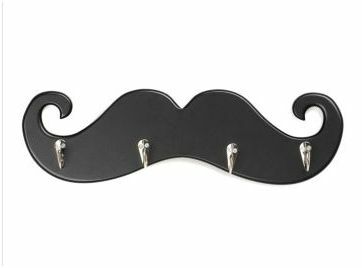 The craze started off slow, but gained momentum by late 2011 with Movember,(mustache+November) a campaign in which men grow mustaches throughout the month of November to help gain awareness to men’s health issues, such as prostate cancer and other male cancers. Women decided to support the Movember movement, by also sporting fake mustaches throughout the month. 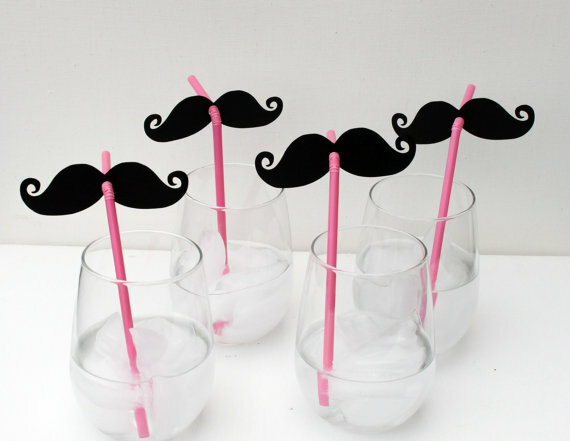 Mustaches have also become a subject of humor. 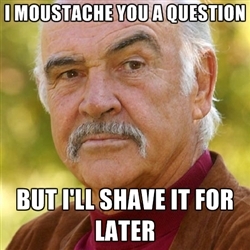 There’s even a picture of Sean Connery that’s been re-posted lots of times over the internet where the heading says, “I mustache you a question but I’m shaving it for later”. 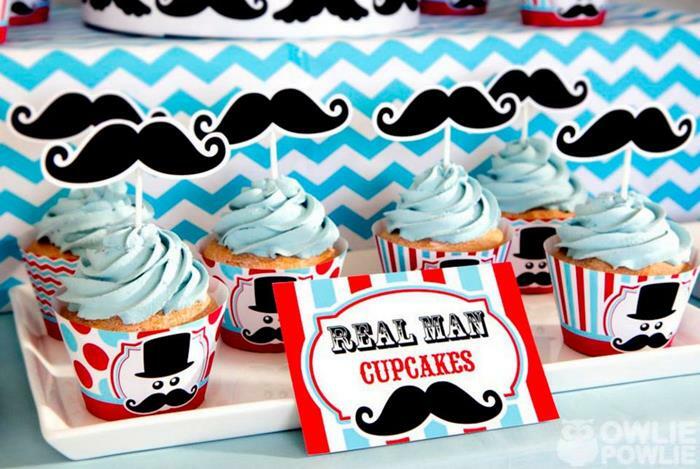 There is also a Fake Mustache Day celebrated on February 24, (the international celebration is held on February 3). So, even if you’re not into the whole false ‘stache thing, (and I know many of you aren’t) give it a try on Mustache Day, you might actually have some fun! Will the mustache fade out soon? And what will replace it? 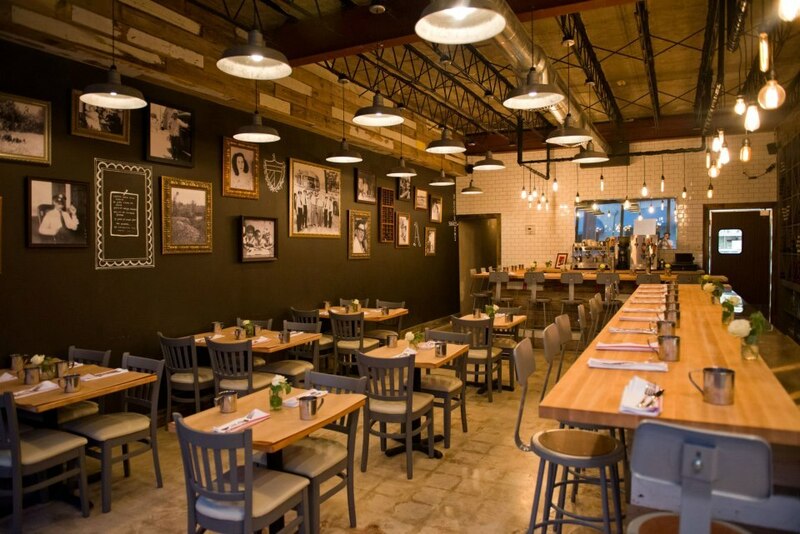 At B+B, owner and chef Alberto Cabrera offers a creative menu using Cuban staples with a twist, to serve up innovative dishes. In addition to a complete list of tapas style remakes of Cuban traditional plates to share, there’s also medium-sized rice dishes and a few larger plates, including the Pollo Asado, which is my husband’s favorite! 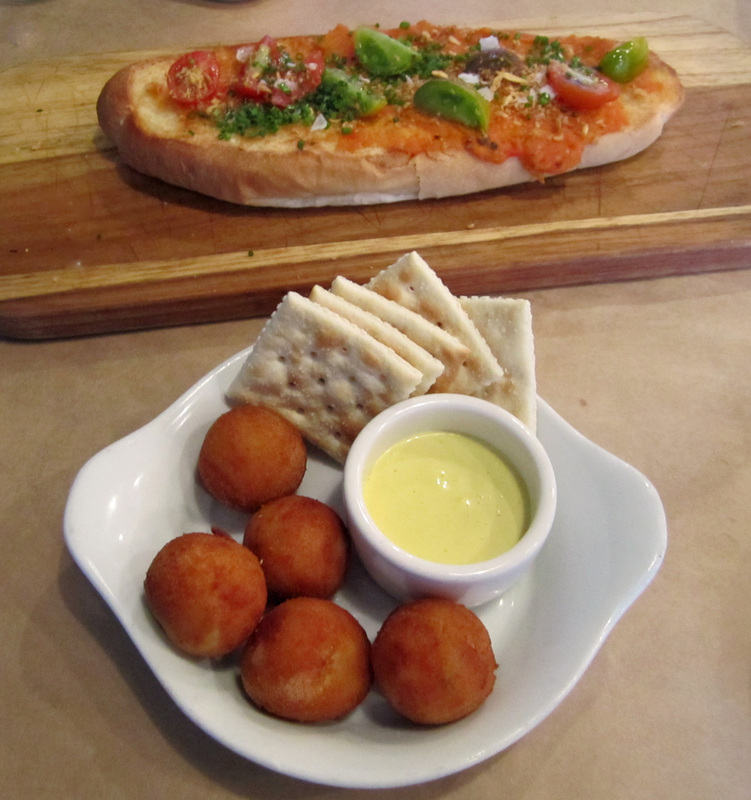 I went for the Media Noche Croquetas served with aioli and soda crackers, and Pan Con Tomate, both very good. 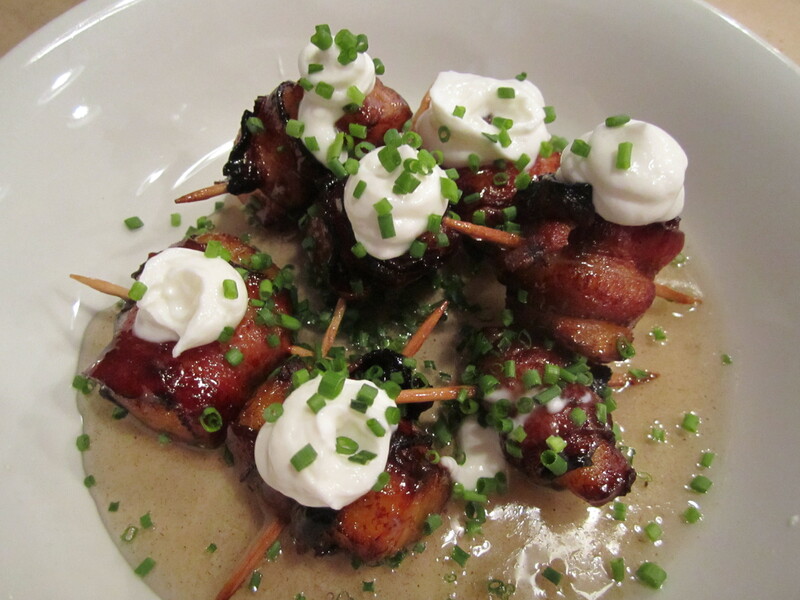 However, the dish we most enjoyed was the Platano en Tentacion…bacon-wrapped plantains, served with five-spice almibar and topped with sour cream, and chives…in one word, divine! I also really liked the decor of this place, resembling an old-time diner or counter restaurant. 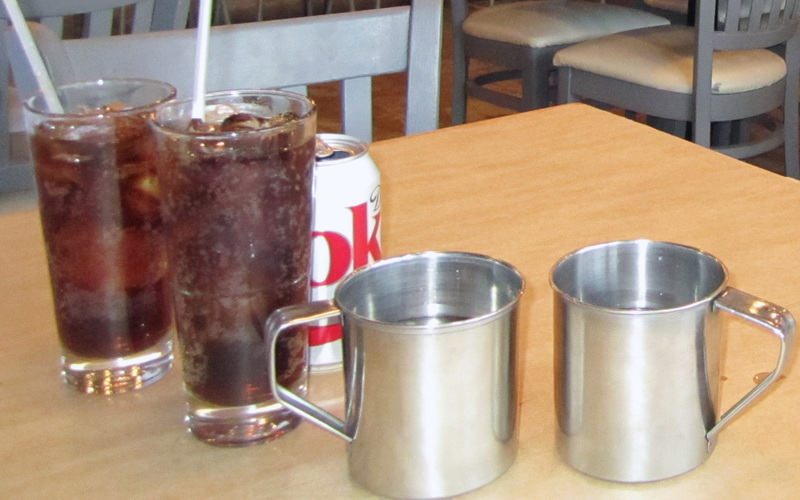 The first thing I noticed when we sat down, were the tin can water cups on the table, very similar to the ones my sisters tell me we used in Cuba when we were little. There are also many beautiful, vintage black-and-white images of the old Cuba my parents are always reminiscing about. I must warn you though, as with many places in the Gables, parking for this place is tough, so if you’re trying to make your reservation, give yourself enough time to find a spot. Once again, we didn’t make room for dessert. However, there were a few that caught our eye for our next visit, such as the Flan de Queso de Cabra (a goat cheese flan) and the Torrejas, a traditional dish similar to Cuban “French Toast”, served with guava maple syrup and cream cheese ice-cream. I’m not sure they’ll be as incredible as my Abuela’s torrejas were, but I’m sure we’ll find out soon!